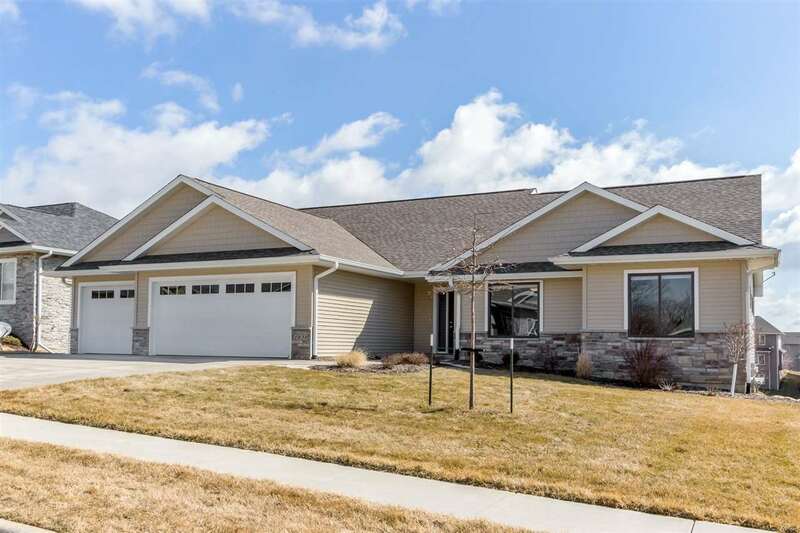 Sprawling West side w/out ranch in Cardinal Ridge near Borlaug school! Sun filled open plan loaded w/extras! HW floors on 1st floor & 10&apos; ceilings. Gourmet kitchen w/working island, granite tops, double oven, tile backsplash, gas stove w/hood, large walk in pantry & under cabinet lights. Dng area has screen porch & deck on either side w/stairs. Custom built ins in great room w/gas fp & stone surround. Huge mst suite w/tile shower, granite tops, tile floors & custom closet shelves. Whole house sound system.